Summer has come to an end, which means back to school and the start of fall sports. Whether you are a high school athlete or a weekend warrior, there is always a risk of sports-related injuries. My goal is to help you understand the most common sports injuries and provide some tips to help you prevent them. Sprains and strains are by far the most common sports injuries. A sprain is when a ligament, which holds the bones together, is stretched or torn. The most common sprain is the ankle sprain. A strain is similar, but it is more of a tearing of the muscle or a tendon. Hamstring strains are likely the most common strains. Prevention starts with a proper warm-up to loosen up the muscles and ligaments. Stretching and strengthening muscles also helps decrease the likelihood of injury. Shoulder injuries are common in both contact and non-contact sports. They can occur from overuse or a traumatic injury. The most common shoulder injuries include rotator cuff sprains or tears, shoulder separations and shoulder dislocations. Although many traumatic shoulder injuries cannot be prevented, maintaining proper range of motion and having balanced strength of the muscles surrounding the shoulder can help. The knee is a commonly injured joint as well. Problems with the knee can vary from tendonitis to meniscus and ligament tears. The anterior cruciate ligament (ACL) is the most common knee ligament injury. The ACL functions to provide stability to the knee. There is some evidence that avoiding significant muscle imbalances around the knee and learning proper techniques for landing from a jump or pivoting may decrease non-contact ACL injuries. Overuse injuries are also very common and can involve many different parts of the body. Some common overuse injuries are shin splints, stress fractures and elbow tendinitis. Rapid acceleration of the frequency or intensity of exercise is a common error that athletes can make. The “10 percent rule” is a guide that suggests you should only increase your exercise program by 10 percent per week. Another important tip is to listen to your body; “no pain-no gain” is not true. If you develop pain, stop the activity and give your body a break. Finally, it is recommended to take time off and vary your activities to avoid repetitive stress on one specific part of your body. It has been suggested that you take at least one day off per week and at least one month off per year from training as this allows your body to recover. The medical community is continuing to learn more about the long-term affects of concussions. 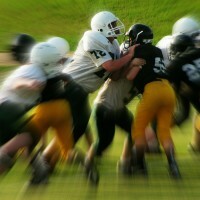 A concussion is a mild traumatic brain injury that alters how your brain functions. Symptoms include headache, dizziness, confusion and sensitivity to light. You can reduce your risk of a concussion by using proper equipment (e.g., helmets and mouth guards), which can lower the impact of a collision or fall. Maintaining proper form can also decrease risk. It is recommended to avoid sliding into a base or making a tackle headfirst. If you feel like you may have sustained a concussion, make sure to tell someone and never return to play without a proper evaluation. Playing sports while having symptoms from a concussion can be very dangerous and lead to further complications. Always contact a physician for any sports-related injury pain that does not improve with rest, or if you have swelling or instability (i.e., giving way) of a joint. 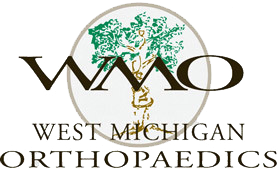 Please contact us at West Michigan Orthopaedics if you have any questions or to schedule an appointment.